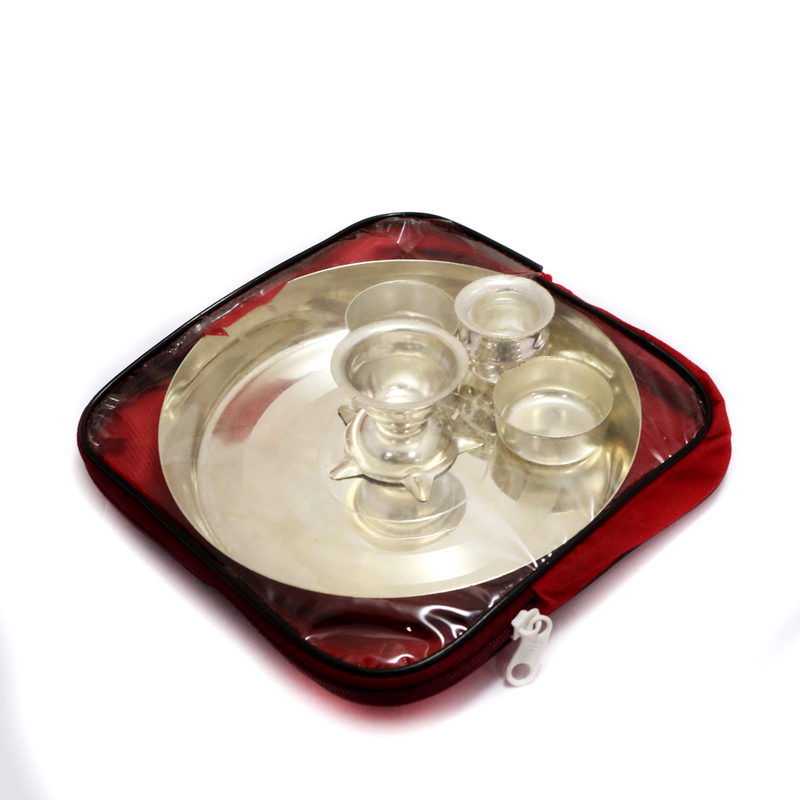 The stainless steel set of a puja plate and two bowls come well designed in a small transparent pouch. 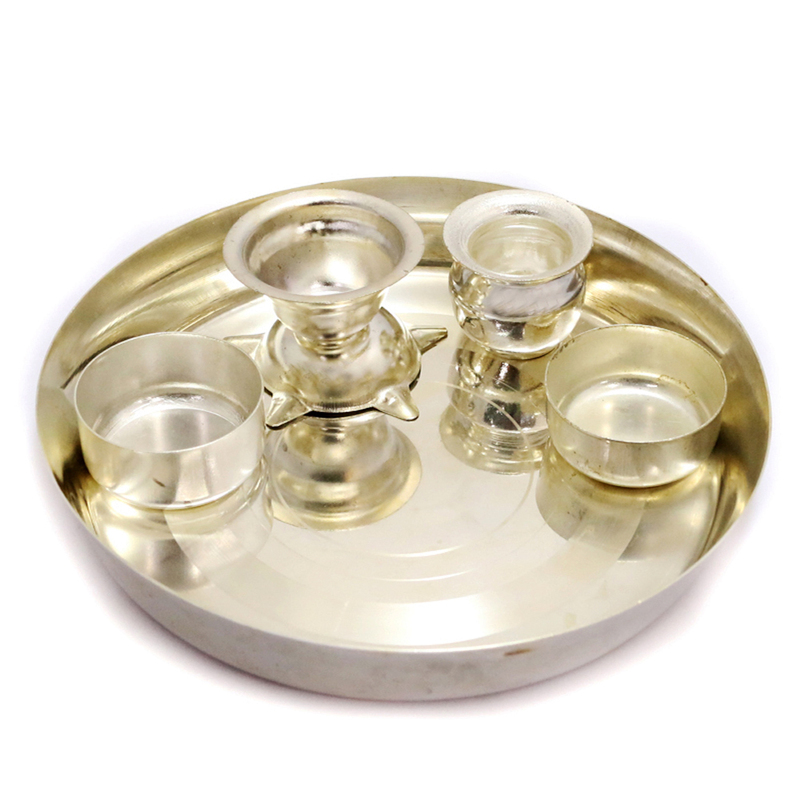 These are simple yet elegant to Read More..look at or even to use on a daily basis for that matter. One can even given them as a great present. Show Less..